A new route has been established between Kostanay in Kazakhstan and Herat in Afghanistan. A train loaded with flour departed Kostanay on July 18, embarking on a 3,500 kilometre-long journey. It carries more than fifty wagons with a cargo weight of 3,300 tonnes. The route connects the central Asian countries of Kazakhstan, Turkmenistan and Tajikistan with the landlocked country of Afghanistan. It passes through the Kazakh city of Bolashak and the Turkmen city of Serhetabad, where it crosses the border with Afghanistan. 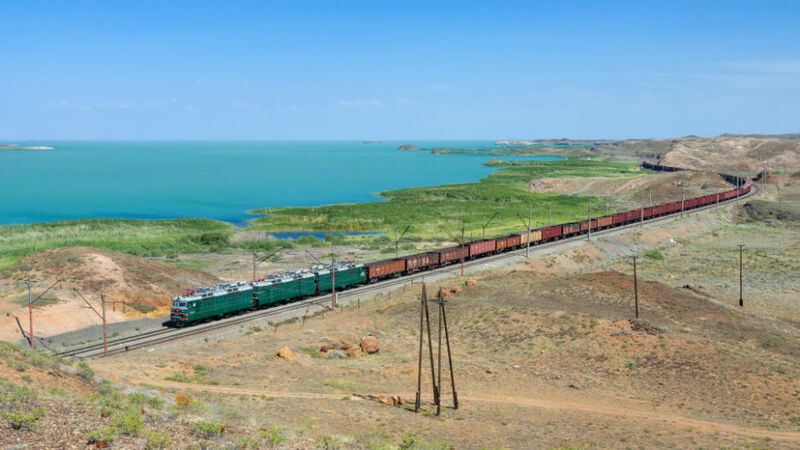 The development of transportation along the new route will increase the transit potential of Kazakhstan, argued Mukhtar Zhambulov, deputy general director operations of KTZ Freight Transportation. According to the official, the route would also reduce turnover times and accelerate the return of rolling stock by 2-2.5 times. Kazakhstan is of growing importance on north-south, as well as west-east corridors currently developed. Agricultural products of the central Asian country are mainly exported to Uzbekistan, Tajikistan and Afghanistan, which is developing its rail connections to the region. The main purpose of the railway is to ensure timely and high-quality transportation of agricultural products. Kazakhstan holds the leading position in the world in the production of grain. The country has exported 4.2 million tonnes of grain since the beginning of this year, which indicates a year-on-year increase of 56 per cent. In the same period 1.2 million tonnes of flour was exported, indicating a year-on-year increase by 8 per cent.